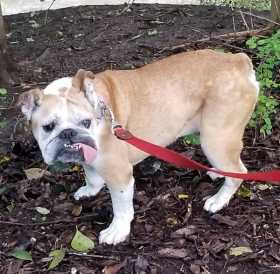 Fawn / White English Bulldog. She is older, has diminished vision and hearing. She has some dementia and gets confused.